Are we just too busy to eat healthy? Many of us are just too lazy to eat healthy. We always seem to find time to shop for a new dress, go to the movies or watch the football game but not enough time to have a good, healthy dinner. Grabbing a hot-dog and a soda at the game is way too convenient. Yes, eating healthy costs a little more and takes a little more time and energy to prepare, but what is more important, that football game or your long term health? If you do not have your health, you will eventually not be able to attend the game. Fast food chains have been one of the major contributing factors to our obesity problem here in the United States. In all major cities, you can find every type of food on every corner with a drive through window attached. Fortunately, many fast food chains have redirected their efforts to become more health conscious for us busy people on the go. If you ask, most outlets have the nutritional specifications about their food. The things to be aware of are the fat content per serving, the sodium content and of course, the calories. Order only grilled items on the menu. Avoid the fried fish or beef sandwiches. Be aware of the calories and carbohydrates from the white flour buns on your sandwiches. If possible, eliminate the bread and order a baked potato or salad in its place. Try a honey-mustard sauce on your grilled chicken or as a salad dressing- Be aware of how many fat grams and calories are in salad dressings. Order the small burgers without cheese instead of the large ones. Forget about the mayonnaise on your burger. Omit it and add mustard and ketchup. You will save yourself a lot of fat grams. Avoid high sugar drinks and milk shakes. One 12 ounce soft drink has as much as 50 grams of sugar. (Sugar turns to fat very quickly if not used). Order low-fat milk, diet sodas, tea or water to drink. If ordering pizza, eliminate the high-fat meats and go light on the cheese. Eat a big salad with boiled egg whites (if possible) on top to help satisfy. If at a salad bar, anything green is a good start. Do not add ham, bacon, pasta salads or high-fat dressings. Limit your croutons, cheese and nuts. Add boiled eggs without yolks for protein.. Vegetables such as celery, tomatoes, peppers and corn are good for filling you up. Careful with the high calorie breads served at salad bars- they are good on the lips, but terrible for the waist and hips. Last but not least, avoid high-fat desserts such as milkshakes, apple pies and brownies. Order the low-fat yogurt instead. Eating out or driving through your favorite fast-food chains does not have to allow you to “break the laws” of good, healthy eating-Follow the rules, search the menu and order smart. 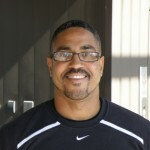 Chuck Howard is the Director of Athletic Performance and the GCU Recreation Center. Contact Chuck at chuck.howard@gcu.edu. We forsake health for convenience! It is important to remember that we eat to nourish our bodies. Healthful food choices will provide the nutrients and energy that we need. As I have told my children for years, we are given only one body. It is essential that we appreciate the gift of health and respect our bodies by eating well and exercising.